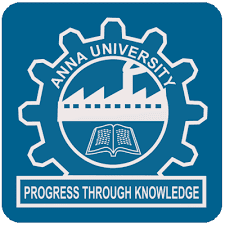 We Auzone Team Will Guide You To Get Better Understanding Of Anna University New revaluation Procedure. 1. Apply For Photocopy of Paper Through College By Paying Rs.300 /- for Each Paper You Wish to apply . 2. 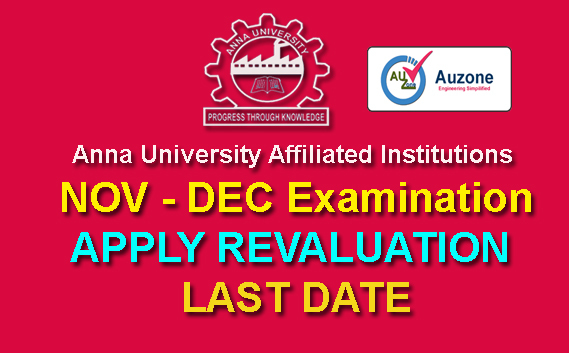 If you encounter with extra marks for the paper , and If You and Your Staff are Confident in getting Extra Marks Apply For Revaluation. 3. Mark Split up Format,Will be Attached Along With Photocopy of Answer Script You Ask Your Staff To Fill up the marks and Get Signature in this format. 4. 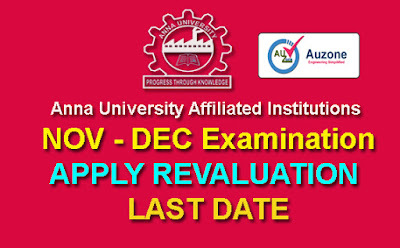 Pay Rs.400 /- For Applying revaluation , report To your College Exam cell. 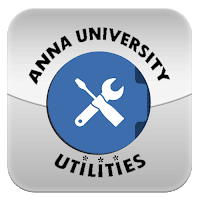 Webportal is opened for Applying Photocopy of Answerscripts for Nov/Dec 2016 Examinations.